It’s not easy to understand the real essence of state power in Soviet Russia. Its power was shrouded in many myths and hidden under camouflage terminology. However, it is important to understand what kind of power Ukraine actually had to deal with over the course of decades being a part of the Russian-Soviet Empire and how this power has now changed. Difficulties in determining the essence of the Soviet regime date back to the times of the Russian revolution. Until now, even among some specialists, it is still widely believed that in 1917 two revolutions took place in Russia: the February bourgeois-democratic revolution and the workers-and-peasants’ one in October. However, in reality, the integral Russian revolution began with the autocracy overthrowing and ended with the dispersal of the Constituent Assembly in January 1918. The decisive role in eliminating autocracy and overthrowing the government coalition of socialist and bourgeois parties was played by the revolutionary organizations of the “lower class” people – the Soviets (councils) of workers’ and soldiers’ (mostly peasantry by origin) deputies. Tsarism had mobilized millions of peasants into the army, had equipped them with arms and taught them to use them. The peasants in their soldiers' uniforms were uncompromisingly disposed to put an end to the war that the ruling classes had unleashed, to destroy the landlords and share their estates among themselves. Also, many workers were eager to transfer the enterprises at which they worked into the ownership of labor collectives. In the Russian revolution there were two coups: the failed Kornilov’s one and the successful Lenin’s. Successful implementation of the latter was due to the fact that the Bolsheviks temporarily abandoned their slogans and adopted the slogans of the “lower class” people: “Peace to the peoples!”, “Factories to the workers!”, “Land to the peasants!” When strengthened in power, they returned from time to time to their own slogans: “Let’s turn an imperialist war into a civil one!”, “Let’s transfer enterprises into state ownership”, “Let’s collectivize peasantry means of production”. The October coup was simultaneously the Soviet revolutionary act and the Bolshevik counter-revolutionary turn in the revolution. After all, the collective sovereignty that the tsar's subjects got after the autocracy overthrowing did not last long. 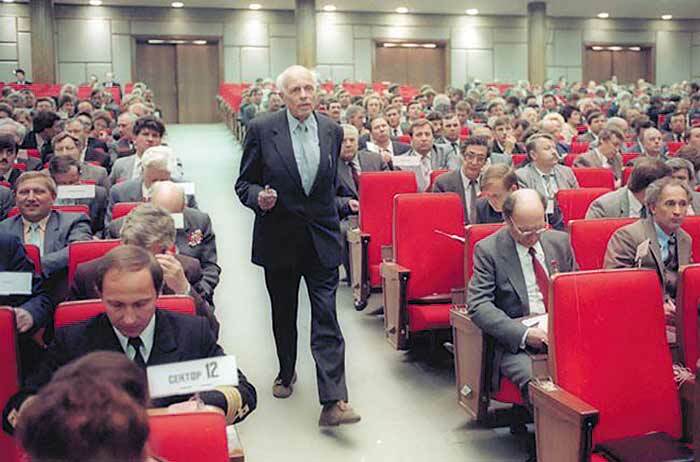 The first free elections after the Constituent Assembly were held in 1989 – at the Congress of People's Deputies of the USSR. Let us consider the specifics of two-channel state power, which established itself as the final product of the Russian revolution. The boundless Bolshevik’s populism led them to conquer most of the Soviets (councils) of workers-and-soldiers' deputies. The case was completed by the terrorist actions of urgently created state security bodies. After the destruction of competitive political parties, the Soviets (councils) consisted solely of the Bolsheviks and non-party deputies sympathizing with them, that is, turned into a single political force with Lenin's party. However, Lenin retained their organizational independence and built a commune state, as he called it in the April Theses of 1917, with two authoritative verticals: of the party and of the Soviets. 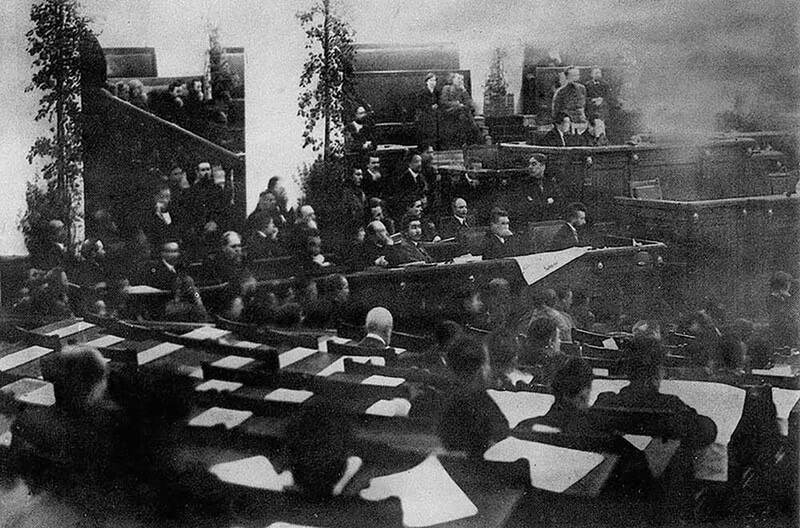 The Bolshevik Party was based on the principles of “democratic centralism” with the unconditional subordination of the lower hierarchical units to the highest. This meant that the political dictatorship, equal to the former autocracy, which it had established under the outer shell of the “dictatorship of the proletariat”, was concentrated in the hands of the leaders. One of its important tasks was to carefully monitor the elections to the Soviets (councils). Subject to the party, the Soviet vertical had weighty managerial powers. Therefore, the leaders could not allow undesired persons to leak into the Soviets (councils). Those who became undesirable for them after the elections fell into the clutches of state security – in fact, independent from the party committees and executive committees of the Soviets (councils) of the additional vertical of power. Thus, the power closely connected with the “lower class” people, but independent of them was formed. They called it Workers-Peasants’ and Soviet. In the first Russian Constitution of 1918, the Communist Party was not mentioned at all. Later, the leaders designated their strength in the Constitutions, but as an empty declaration. Mimicry also spread to the name of the restored multinational empire and state structure, which the Leninist party became. These names were denationalized. The revolutions that had preceded the Russian ones were bourgeois. On the other hand, the social spectrum of the Russian revolutions of 1905 and 1917 expanded significantly as a result of the appearance of Soviets (councils) of workers-and-soldiers' deputies. United in the Soviets, “lower class” people did not follow the large owners, as at times of previous revolutions, but wanted to destroy them. This desire was actually superimposed on the key demand of Marxism of the mid-nineteenth century: to establish communism during the proletarian revolution through the abolition of private ownership of the means of production. As the inventor of a two-channel state that provided a political dictatorship, Lenin simultaneously relied on revolutionary Marxism, which enabled the establishment of an economic dictatorship by liquidating private property in society. Marx and Engels linked their hopes for the triumph of communism in “The Communist Manifesto” (1847) with the proletariat, that is, people deprived of private property. In the process of revolution, these people were to establish a proletarian state, which Marx later called “the state of the dictatorship of the proletariat”. The proletariat, however, being a community devoid of an internal hierarchical structure, could not exercise the dictatorship. Therefore, in the event of a successful revolution, this function should have remained with the state. During the revolution, the state was to establish a political dictatorship, and in the process of communist transformations, that is, by expropriating society, to achieve an economic dictatorship. In an effort to show people the path to social equality and material well-being, the young German revolutionaries really led them to slavish dependence on an omnipotent state. In Western Europe, there were no political parties willing to adopt the ideas of revolutionary Marxism. Marxists preferred to reconcile the interests of capitalists and workers and did not follow the course of the destruction of capital - an equal agent of the production process. They considered economic activity connected with the increase of capital to be no less important a sphere of application of intelligence than activity in the sphere of science, culture, and religion. At the turn of the 20thcentury, Europe began, albeit in slow motion, the processes for which, after the Second World War, the suitable name was found - the transformation of capitalist states into social ones. Having rejected to be Communists, the Marxists called themselves Social Democrats, since they based their parliamentary activities on the slogan of class peace, not class war. However, part of the Russian Social Democrats, which went down in history as the Bolsheviks, adopted the idea of ​​the Manifesto. The first step by Vladimir Lenin in the future communist construction was the expropriation of the party of the Social Democrats – the Bolsheviks – by its leaders. The second step by the leaders: the expropriation of the state-commune with the help of the party. Then they began to expropriate the whole of society through the state-commune. The property of commodity producers, which ensured the economic independence of society from the state and the dependence of the state on society, during the communist transformations became the private property of the state-commune under the hypocritical name of “public” property. Ownership, use and disposal of the means of production was in the hands of the Communist Party, more precisely, of its leaders. Of course, the members of the Politburo of the Central Committee of the AUCP (b) – CPSU did not own the factories, banks, and steamboats. However, they (and only they) determined all the parameters of the all-Union economy: the ratio between consumption and accumulation, sectoral and regional investments, the level of wages and social benefits, and the like. The leaders of the party did not succeed in fully expropriating the private property of the multimillion peasantry. The peasants managed to defend the right to own, use and dispose of the products produced in the household plot and received for workdays from the collective farm. This meant that in agriculture and in the economic turnover of the city and the village, commodity-money relations remained with the use of individual elements of the free market. Accordingly, the economy of the public sector, which received the camouflage name of “socialized”, was based on economic accounting using commodity-money relationships. The failure of attempts to implement a system of economic management based on commodity exchange meant that in the USSR they built something that was different from the first phase of communism, as interpreted by the founders of Marxism. Should we really look for another term to refer to the socio-economic system created in Soviet Russia and extended to many other countries? We had rather not... Humanity got accustomed to the term “communism”, coined long before Karl Marx and Friedrich Engels by the same utopians. We can only point out that the leaders of Russian Bolshevism, in contrast to the founders of Marxism, did not have noble intentions when they were building communal socialism. The expropriation of society was accompanied by a brutal civil war and mass purges - up to genocide. The maximum possible centralization of material and labor resources helped the Soviet Union to make a major contribution to the victory of the anti-Hitler coalition in Europe. With the course of time, it established itself as a superpower capable of imposing its development matrix on many countries. However, after the leading countries entered the post-industrial era, the Eurasian superpower began to collapse. The centralized economy of “coal and steel” could not withstand competition from countries that were at the forefront of the scientific and technological revolution. The idea of ​​communism was used by Lenin to justify the expropriation of society by the state. Neither Marx, whose mind bore a detached from reality picture of an ideal economy without a market and commodity-money relations, neither Lenin, who had tried to implement these recommendations of the Manifesto, but after three years of economic crisis, returned to the free market, nor Stalin, who started a second attack with the return of a free market ban and a disguised rejection of commodity-money relations – none of them understood that private property could not be destroyed. In the end, Stalin referred the replacement of commodity circulation by product exchange and the elimination of money turnover to the second phase of communism with the distribution of material goods according to needs. The main thing he achieved: the expropriation of society by the state. The Soviet state was not rising above the society, like any other, but launched into it its skeleton. In each horizontal section of society, the party vertical submerged with the committees of the multi-million party (with its subordinate veterans’, national and women’s organizations) and the committees of an even more numerous Komsomol (with its subordinate organizations of the Young Pioneers and Little Octobrists); Soviet vertical submerged with state, trade union, cooperative, public bodies and organizations; state security vertical did it with millions of recruited informants. Horizontal organizations, independent from the authorities, on the basis of which the civil society should have developed, were eliminated or verticalized. The Soviet society merged with the state into a single whole. Countries in which society determines its leaders in free elections are called democratic. The countries in which the state represented by its leaders does not depend on the will of their people are called totalitarian. The Soviet state-society should have been called cubed totalitarian then. The main feature of the citizens, formed by communal socialism, was absolute economic helplessness. They connected all their thoughts with the state. The paternalism brought up by the latter was due to the fact that there was no private property in society. After all, only privately owned means of production provided citizens with economic independence from the state and, accordingly, created economic dependence of the state on them. Under communal socialism, all became proletarians. The working class, which was called the “hegemon of the proletarian revolution”, became a two-fold proletarian. In the market economy, they were deprived of their own means of production, but remained the owners of their labor and were interested in selling it more expensive, as a result of which they saw the point in increasing productivity. Under the conditions of communosocialism, their work force actually belonged to the state. The working class could not rely on the national trade unions in confrontation with the aggregate business owner, that is, the state, and was denied the right to strike, because, they say, it owned the company for which it worked. The most clearly estrangement from the means of production was manifested in the collective farmers. They worked negligently on the collective farm fields using machinery. But on the backyard plot that they had won back from Stalin, which became their private property (under a different name), they worked without any technologies with full dedication. As a result, collective farms could not meet the country's food needs, but collective farm markets met consumer’s demand for meat, dairy, and garden products from home gardens. The constitutional reform of 1988 removed the dictatorial Communist Party vertical (but not the party elite) from power, which eventually led to the collapse of the CPSU and the ruin of the USSR. “Public ownership” was left without an owner and was divided between financial and industrial groups. During the 1990s, the post-Soviet vertical of power remained unstable. It stabilized only after it was filled with people from the security forces. New rulers of the Russia’s fate are trying to restore the dictatorship in the absence of a two-channel building of the state. The stability of the political regime is now ensured not by institutions, as in the USSR, but by the will of the voters. The authorities are trying to achieve the desired results of voting in the presidential and parliamentary elections by maintaining the relative well-being of the population, which for three generations has adapted to state paternalism, television “zombieing” and large-scale use of administrative resource. In an effort to restore superpower status, the ruling circles of the Russian Federation are pursuing an offensive policy in the international arena and its armament expenditures are a disproportionately large share of GDP. The arms race and enormous corruption at the pinnacle of power affect the well-being of the population. It threatens with a social explosion, the collapse of a multinational state and the spread of nuclear missiles. Western countries do not want such a prospect for Russia, which is economically dependent on them, and therefore refrain from crushing sanctions. 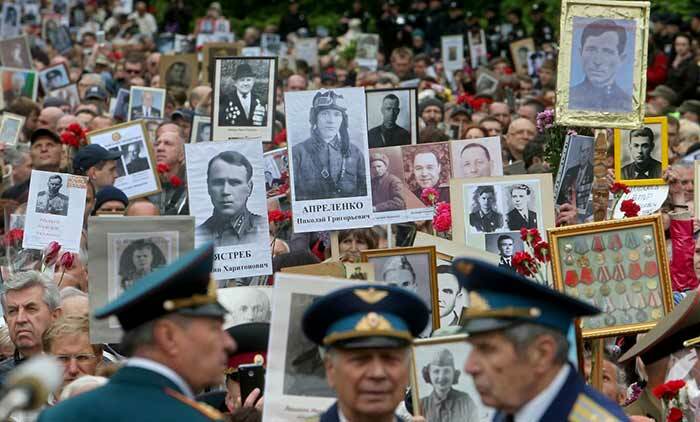 The targets of the offensive policy of the Putin regime are primarily the former national republics of the USSR and the countries of “Yalta” Europe. The task is to revive the Soviet empire by means of political, economic and even, as shown by the invasion of Georgia and Ukraine, military pressure. From the middle of the 17th century, Moscow “digested” the Ukrainian people in various ways, trying to deprive it of their own identity. In the current situation, the birthplace of world communosocialism went all-in, trying to resist the Euro-Atlantic choice of Ukraine with the help of internal agents and relying on the still significant share of those with Soviet mentality among the Ukrainian society. 100 years ago they succeeded. Ukrainian citizens could not then break out of Moscow “fraternal” embrace. Now they have every chance to put a barrier between themselves and their northern neighbor.